After Breakfast, departure by M.V.MAKRUZZ (CATAMARAN LUXURY FERRY) or Govt. AC Ferry to Havelock Island (54 kms by sea from Port Blair) we proceed to Radhanagar Beach, which rated the #7among the finest beach in Asia. It is an ideal place for swimming, sunbathing and basking on the sun kissed beach and overnight stay at Havelock. After Breakfast trip to Elephant Beach. 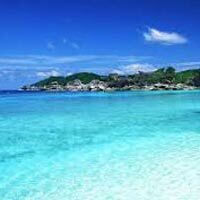 It has a nice beach and offers spectacular view of corals, fishes and marine life, it offers a breath taking underwater view of coral and marine life. It is an ideal place for Snorkeling, sea bathing and basking on the sun kissed beach, Evening return to Port Blair. After breakfast, start for a full- day excursion to Coral Island (North Bay) to see coral reefs, exotic varieties of beautiful ornamental fish and other marine life. 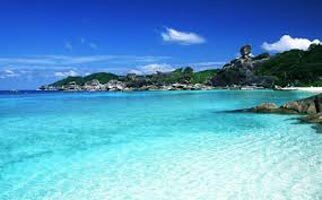 This is an ideal place for snorkeling as this sandy beach coupled with clear water creates a breathtaking spectacle. Please carry your lunch pack, drinking water &changing dress. After North Bay, Visit Ross Island, the former residential and administrative island of the British during their rule of South East Asia, was nick named the Paris of the East. This island was completely destroyed in an earthquake, now in ruins. Overnight stay at respective Hotel at Port Blair.